HomeancestorTombstone Tuesday: Carl August Froemke, Jr. Welcome to another edition of Tombstone Tuesday. Today we’re spotlighting the husband of my first great-grand-aunt Augusta Christine (Altman) Froemke, Carl August Froemke, Jr.
Tombstone of Carl August Froemke, Jr.
Carl August Froemke, Jr. was the child of Carl August Froemke and Henrietta Elisa (Schwarz) Froemke. It’s unknown how many brothers and sisters he had. Carl was born 5 February 1866 in Orel, East Prussia, Russia. Nothing is known of his parents at this time. He immigrated to the United States in October 1880. 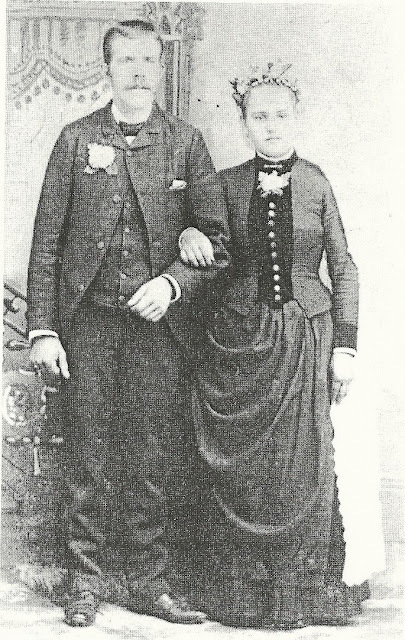 He married Christine Augusta Altman 4 July 1888 in Lisbon, Ransom, North Dakota. Together they had thirteen children (seven boys and six girls). 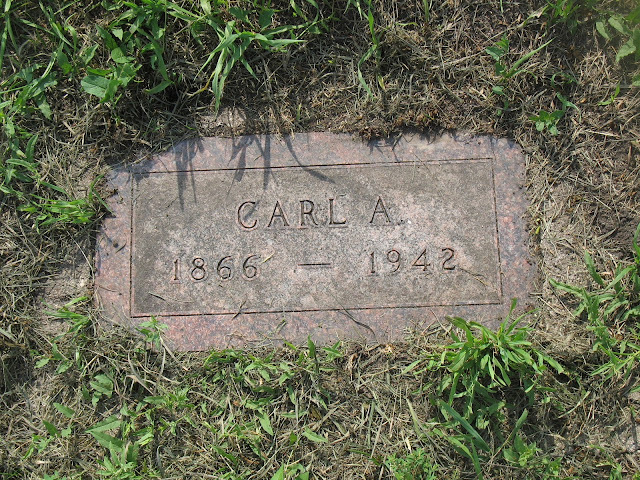 Carl Jr. died 23 February 1942 in Lisbon, Ransom, North Dakota. He is buried in Anselm Lutheran Cemetery in Anselm, Ransom, North Dakota. The cemetery borders what used to be family farmland.